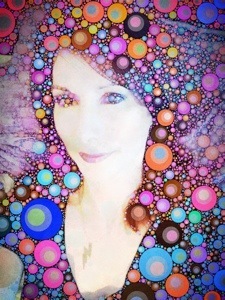 I really love using the Percolator app because I always get some surprising results. 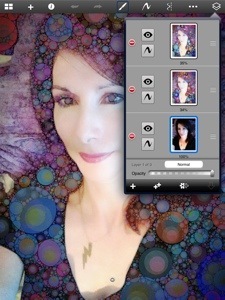 One of my favorite blends is Tripstamatic because of the neon and psychadelic colors. Since you don’t really have control over where the circles are placed I make several Percolated versions and edit them in Sketchbook Pro. 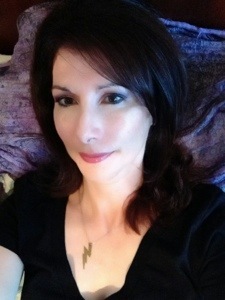 The first photo is taken with my iPad and filtered with the moreBeaute2 app to smooth out the skin color. 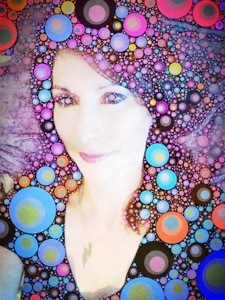 I make two different Percolated versions with slightly different colors. Finally I import all three versions into Sketchbook Pro on different layers. I erase areas from the top two layers leaving the colors that I want most. I also change the opacity of the layers to make the design more subtle. 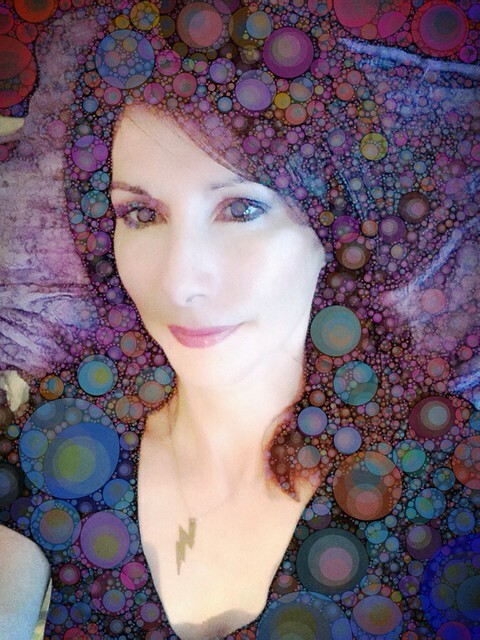 You look fantastic.Life seems to be treating you well.Great work with the bubbles and colors.Again,keep me posted on any shows that you have. Thanks so much! I just signed up for SketchCon on October 27th in Saddle Brook. I’ll post more details as the event gets closer. 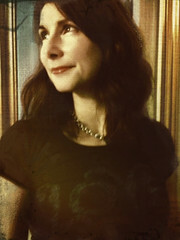 The event is run by Christian Massot who is a tattoo artist and owner of Silk City Tattoos so it will have a really great mix of interesting artists, photographers and craftspeople. My 2 oldest daughters just gave me a gift card for Silk City Tattoos.Please do keep me posted on the Oct 27th event!Looking forward to it!!!!! !